"I want to point out that the main problem is the North Korean nuclear facilities related to Pyongyang's military programme. As for the IAEA observers, the organisation’s mandate is currently limited only to verifying the peaceful nature of nuclear programmes. These inspections [of military nuclear sites] and other work should be carried out by experts from nuclear powers, including Russia, the United States, and China", Russia's Ambassador to Pyongyang Alexander Matsegora told Sputnik. Matsegora also stated that North Korean leader Kim Jong-un’s visit to Russia is number one on the bilateral agenda, both sides — Moscow and Pyongyang — are interested in it. "There is a common basic understanding regarding holding a meeting of the leaders of Russia and the DPRK. The interest in such a summit taking place is mutual. We have many questions that require consideration and decision-making at the top level. In this regard, the visit by DPRK State Council Chairman Kim Jong-un to Russia is number one on our bilateral agenda", Alexander Matsegora said in an interview with Sputnik. According to the envoy, the specific date and venue, as well as the programme of the visit have not yet been determined, "this will have to be dealt with in due time". Matsegora also noted that Moscow is highly unlikely to agree to store radioactive materials from North Korea if Pyongyang does fulfill its pledge to completely denuclearise the Korean Peninsula. "As for the possibility of radioactive materials from North Korea being brought to Russia, I can hardly imagine a situation where we would agree to this", the diplomat said. The envoy has also commented on Russia's contribution to the creation of a mechanism that will enable peace and security to be maintained in Northeast Asia. "The expression 'DPRK [Democratic People's Republic of Korea] denuclearisation' fails to provide a full explanation of the problem. We should rather speak about the denuclearisation of the Korean Peninsula, which is, in turn, an essential part of the common goal to create a system of peace and security maintenance in Northeast Asia. Obviously, it would not be possible to create such a mechanism without Russia's active engagement", Matsegora stressed. North Korean leader Kim Jong-un committed to the complete denuclearisation of North Korea following a summit with US President Donald Trump in Singapore last June, in exchange for security guarantees to the country and the suspension of joint US-South Korean military drills. However, no concrete steps have been made in this direction by either party. Russian Ambassador to North Korea Alexander Matsegora has told Sputnik that media reports alleging that Moscow had offered to build a nuclear power plant (NPP) in North Korea in exchange for the latter's denuclearisation are not true. "The Washington Post newspaper's reports do not correspond to reality… The truth is that Pyongyang does not feel secure and hopes to protect itself from military intervention and interference in the republic's internal affairs by the United States by creating a relevant self-defense potential", the ambassador explained. 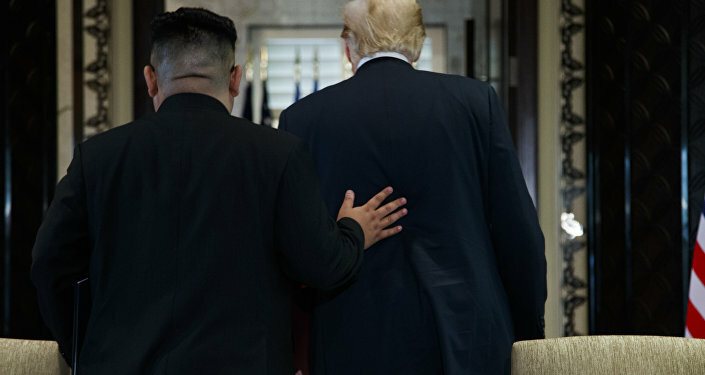 The statement comes after The Washington Post reported on 5 February that Russia had secretly offered North Korea a NPP in the fall of 2018 in order to resolve deadlocked negotiations between Pyongyang and Washington on North Korean denuclearisation. The deal reportedly prescribed that North Korea would receive a new energy source on the condition that Russia would operate the NPP transferring all byproducts and waste back to Russia, thus reducing the risk that Pyongyang would use the plant for its nuclear weapons programme. The situation on the Korean Peninsula has significantly improved over the past year, during which Seoul and Pyongyang concluded important agreements and the North Korean leader and the US president held a historic summit in Singapore in June 2018. 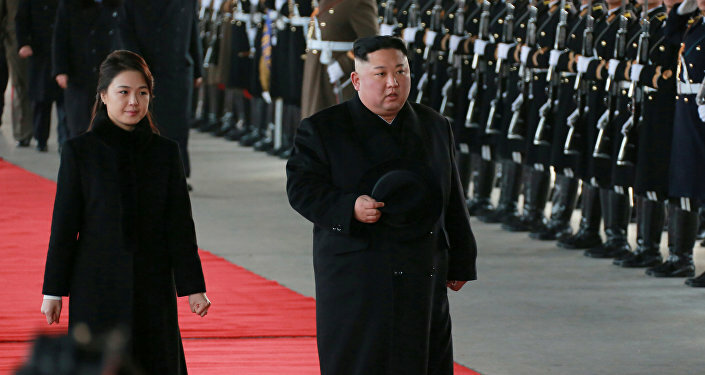 The two leaders concluded an agreement stipulating that Pyongyang would make efforts to promote the complete denuclearisation of the peninsula in exchange for the United States and South Korea freezing their military exercises and potentially lifting US sanctions.